For those looking for wide open spaces along with land you can profit on, take a look at our picks this week on small farm properties. Check out Micoley’s 272-acre ‘farmette’ in Carney, Michigan. Boasting 90 tillable acres, this property comes with a 4-bedroom, 1-bath home as well as a 2-stall detached garage. A barn and silo are also included, allowing for income-producing livestock opportunities. PA digs this one for its recent updates including a new metal roof, windows, siding, storm doors and well pump. Online auction date is February 28th. Looking for something in the south? 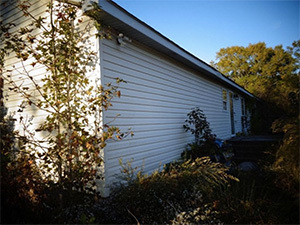 Then turn your attention to Marknet Alliance’s 2-dwelling property in Woodland, North Carolina. Set on 11 level, mostly open acres, this offering provides a house complete with 3 bedrooms, 2 full baths, kitchen, private dining room, living room and fireplace. 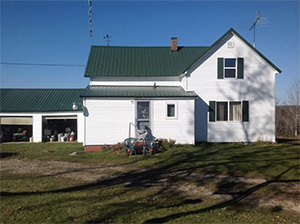 A turn-of-the-century farm house is located at the back of the property, along with 2 large chicken houses that can be used for hay or other storage. PA is picking this one for its restoration potential – a little sweat equity would make this a prime working property. Auction date is January 15th.